In the 14th Lok Sabha (2004-09), 24% of MPs were facing criminal cases against them, this percentage increased to 30% in the 15th Lok Sabha (2009-14), further escalating to 34% in the 16th Lok Sabha (2014-19). The interplay between crime and politics has deep historical roots in India, although there has been a qualitative shift in the nature of their engagement overtime. This was stated by Vaishali Rawat , program associate Association of Democratic reforms , in the 14th annual national conference on electoral and Political reforms. In the immediate post-independence period, politicians often relied on criminal elements; a phenomenon that changed by late 1970s and early 1980s when criminals started contesting elections themselves stated Rawat. This move, from the periphery to center stage, came in the background of changing electoral environment in which uncertainty and competition had both intensified. Political parties embraced and promoted such candidates with criminal background, drawn to their deep pockets as cost of elections had exploded and party organizations had atrophied stated Rawat. “The culture of corruption is deeply intertwined with the ways in which power is won, exercised and retained in India’s democracy.” According to former CEC, Dr S.Y. Quraishi, the law-providing ceiling on candidates’ election expenditure is blatantly violated (with impunity), common knowledge being that candidates spend 10 to 100 times! (Obviously in black money). Parties value “muscle” because of the money that comes along with it. Loopholes ridden campaign finance laws have been no match for the torrent of undocumented cash (black money) that those with criminal ties are able to marshal. Candidates willing to break the law have a distinct advantage, when it comes to arranging for campaign cash. In some cases, money comes from illicit, rent-seeking business activities; in others, it comes from deep-rooted patronage networks or simple extortion. The distribution of freebies in elections, in the form of the cash, laptops, TVs, grinders and mixers, electric fans, free food grains, saris, loan waivers and its mandatory practice by parties has predominantly overtaken the center stage in all election campaigns. Money plays a decisive role in polls and creates a vicious cycle of corruption. A candidate who spends crores on his election goes on a recovery spree to make his investment pay back by all means, howsoever dubious. It does not take long for the politician-bureaucrat nexus to develop for making money. This unholy alliance between the two most powerful instruments of governance makes corruption unstoppable, degrading the quality of our democracy. The use of muscle and money power manifests itself in the form of several malpractices that plague the electoral system e.g. identity politics, vote buying, intimidation of voter, hate speech, paid news etc. Rawat said that vote buying is a serious menace that vitiates the integrity of elections. During the last five assembly elections in 2017, the Election Commission seized over Rs 350 cr8, a major portion of which was in cash, in addition to millions of litres of liquor and huge amount of drugs and narcotics. 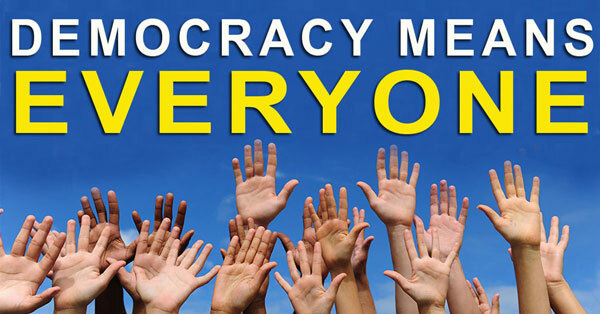 The diverse method of vote buying includes ‘in-kind gifts, cash handouts, electronic transfer of funds, payment to attend party rallies, politicians funding birthday parties, free telephone cards, transfer of money through fake wins at gambling and free sight-seeing’ concluded the program associate.